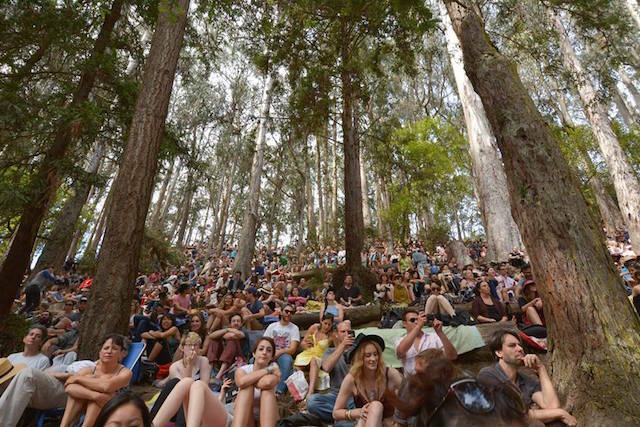 Better start staking out that prime spot for your blanket and picnic basket: Stern Grove has announced its full lineup for another summer of free concerts. Every Sunday for 10 weeks, from June 25 through August 27, Stern Grove Festival brings music from crowd-pleasing performers to 19th Avenue and Sloat Boulevard, an area that many newer San Franciscans huddled in eastern neighborhoods may have occasion to enjoy for the first time. To mark the festival's 80th(!) year, several artists such as Mavis Staples, Amadou and Mariam, and Quinn DeVeaux are returning to Sigmund Stern Grove. Others are making their first appearances, such as Oakland's Grammy-award winner Fantastic Negrito. That show, at least among a slightly younger audience, is sure to account for a big chunk of the 10,000 people expected to show up for the festival performances this summer. But such audiences, who usually don't make it to the ballet, might avail themselves of the oppurtunity to do so for free and while drinking in a park. Just saying. Here's the schedule, with all shows starting at 2 p.m.